Why hello there you pretty little smoothie bowl things! You thought I was talking to you for a sec there didn't you? You guys are pretty little things, too! (And thanks, as always, for stopping by my little nook in the world wide web). So I need your undivided attention, because if you're like most of the population, then you've got a food crush on smoothie bowls. No shame in the game, folks. They are the bomb-dot-com. For ONE, smoothie bowls feel like you're eating ice cream (healthy ice cream). TWO, it's a lot easier to justify having a smoothie as a meal when it comes with a bowl and spoon. Say what you want, it just feels better. It only seemed natural to take the smoothie bowl one step further by making the "bowl" out of fruit. No dish clean up here! I've loaded this cantaloupe bowl with a smoothie blend including kiwi, bananas, and OJ. You know I like to keep things simple around here. Some toppings that I would recommend with this blend: coconut chips, chia seeds, fresh kiwi, blueberries, nuts. 1. Scoop out the seeds from the middle of each half of cantaloupe and throw away. 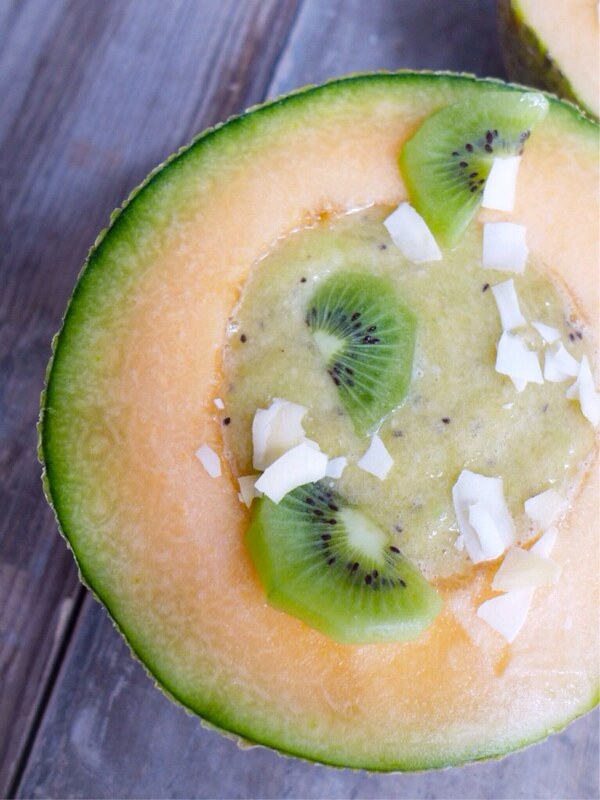 Remove a few spoon fills of cantaloupe from each half and toss in the blender. Be sure to keep the "bowl" shape for the smoothie to sit in.2. Add the rest of the ingredients to your blender and blend until smooth. Pour evenly into each cantaloupe bowl. 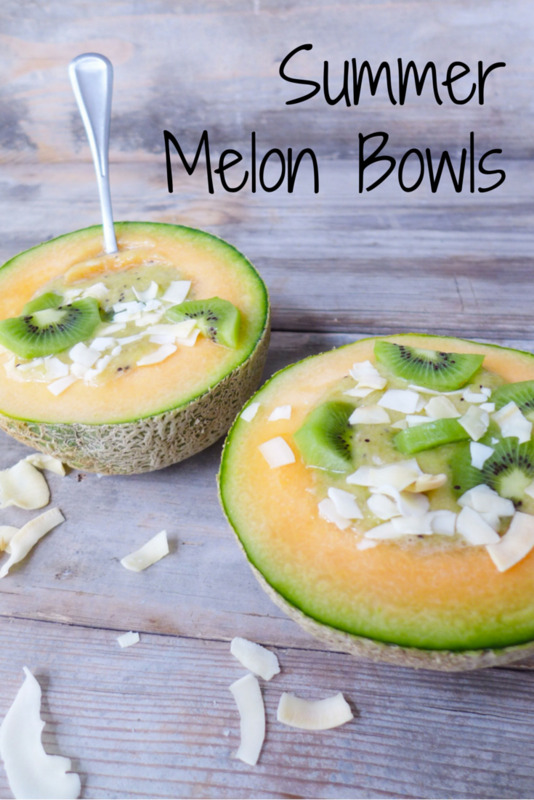 Top with desired toppings and enjoy immediately!NOTE: If your cantaloupe bowl does not sit properly, slice a thin piece off the bottom to make it sit evenly and upright. Obviously this should be done before adding in the smoothie. Also! Don't slice off too much or your smoothie will seep through and leak everywhere.